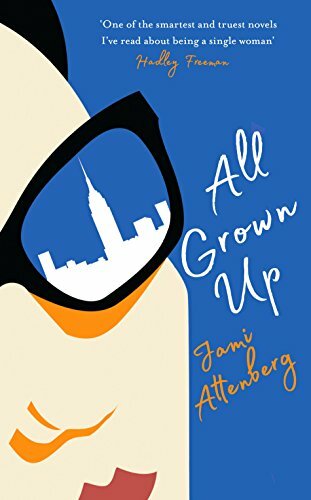 I’m pleased to be able to share a extract from Jami Attenberg’s All Grown Up today. The back of the book says “Andrea is a single, childless 39-year-old woman who tries to navigate family, sexuality, friendships and a career she never wanted, but battles with thoughts and desires that few people would want to face up to.” All Grown Up is published today by Serpent’s Tail in hardback and as an e-book. You can order a copy online by clicking here. Read on for a flavour of the book. A book is published. It’s a book about being single, written by an extremely attractive woman who is now married, and it is a critical yet wistful remembrance of her uncoupled days. I have no interest in reading this book. I am already single. I have been single a long time. There is nothing this book can teach me about being single that I don’t already know. Regardless, everyone I know tells me about this book. They are like carrier pigeons, fluttering messages, doing the bidding of a wicked media maestro on a rooftop in midtown Manhattan. Nothing will stop them from reaching their destination, me, their presumed target demographic. My coworker Nina, the bangles on her wrist clinking, hands me her copy when she’s finished with it, even though I have never expressed an interest in reading it, let alone discussed it with her. She is newly single, and she is twentyfour. A woman who was not newly single, and also not twenty-four, would know better than to hand this book to another single woman. My mother orders a copy for me online and it shows up one day, a surprise in the mail, without a note or a name attached, and it takes me a week to figure out who sent it to me. The whole time I am thinking: A ghost sent me this book. A ghost wants me to think about being single. Finally my mother confesses she sent it. (She does not see it as a confession, of course. I am the only one who sees it that way.) “Did you get the book?” she asks. “Oh, you sent the book,” I say. “Mom, why would you send a book like that to me?” “I thought it would be helpful,” she says. Old college friends post links to reviews of it on my Facebook wall and say things like, “Sounds like something you’d like,” or “This reminded me of you.” I think, Am I supposed to like this? I don’t, in fact, like it. I dislike it. Where is my dislike button? Where do I click to scream? “Well, I’m a woman,” I say. I start to feel unsettled. Surely I am more than that. “I’m a friend,” I say. “I’m a daughter, I’m a sister, I’m an aunt.” Those things feel farther away lately, but they exist as part of my identity. I’m a shrieker in bed. I’m the captain of the sinking ship that is my flesh.